Federal government agencies are under immense pressure to improve cybersecurity performance by focusing on compliance and risk management initiatives such as Continuous Diagnostics and Mitigation (CDM). Both public and private enterprises are signaling a significant shift in behavior by moving away from periodic or annual security and compliance assessments to an environment where risk and mitigation are being assessed in live or near real-time. These new measures are designed to quickly identify cybersecurity vulnerabilities or compliance anomalies, apply remediation and constantly assess the network security posture of participating federal agencies and departments and private sector organizations. In this video, Jim Pflaging, Michael Chertoff, Prescott Winter, Michael Hayden and Mark Weatherford of the Chertoff Group are joined by Tripwire’s John Klein to discuss how a focus on CDM represents a fundamental shift in the government’s security strategy away from simple compliance efforts and towards a robust risk-based security management stance. Please join us for the latest Chertoff Group Security Series: A Shift in Security: What Does Continuous Monitoring Mean for Reducing Enterprise Risk? The event will present an insightful discussion exploring the challenges and opportunities for successfully implementing Continuous Diagnostics and Mitigation as well as the long-term vision for what’s ahead and how this shift in risk management may be incorporated into a standard of care for security. 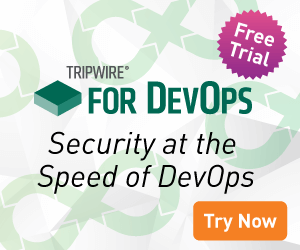 and Former Undersecretary for Cybersecurity U.S. Department of Homeland Security, and will feature a panel with Tripwire CEO Jim Johnson on strategies to implement CDM – and much more! The event is free to attend, and full agenda of the program and registration details may be found online at www.chertoffgroup.com/securityseries.